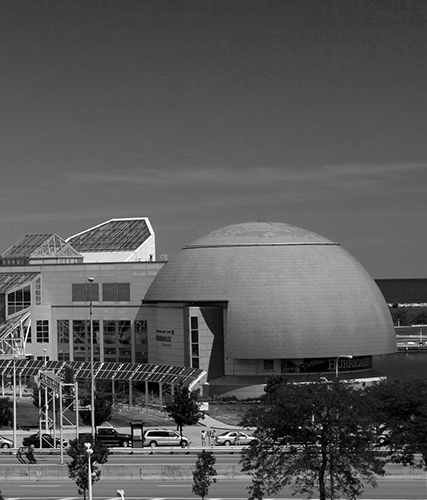 CLEVELAND (June 9, 2016) – Fourth of July weekend is going to be a blast at Great Lakes Science Center! One of the key components of any Fourth of July celebration is fireworks. 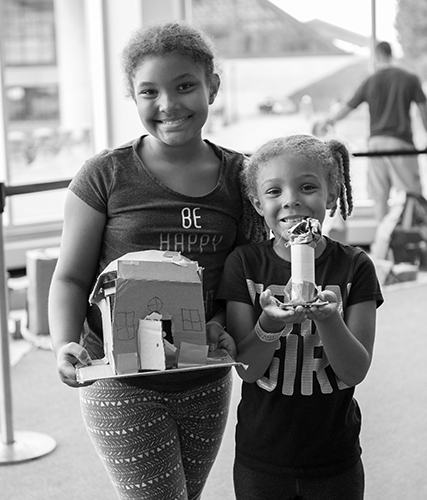 Guests will learn how fireworks can soar so high when they explore the chemistry and physics behind a rocket launch and use sodium bicarbonate to blast their own rocket into the air. Mix up a batch of red, white or blue goo during the Star Spangled Science Glitter Slime make and take activity! Guests will learn about polymers as they take a liquid and transform it into slime just by adding a few common household ingredients. Red, White and Boom is the theme of the weekend’s Big Science Spectacular demonstration. Watch as the Science Center staff explores materials that change color, the chemistry of things that go up, and the science behind all the flash-bang-boom of the holiday. Parades are a popular part of many communities’ Fourth of July celebrations, too. Guests can make and take their own wearable art, perfect to wear along any parade route, at the Light Up Duck Tape Wearable station. Using Duck Tape, LED lights and a dash of inspiration, guests can design and build their own necklace, pin, hat, bracelet or any other type of flair to brighten up a parade or evening out watching the fireworks. The celebration will get downright explosive each day at 3:15 p.m. when the Science Center takes the party outside to the harbor and combines a watermelon, fireworks and a chemical reaction for a fun, and just a little messy, science demonstration. An ongoing, collaborative “community build” project will give guests the opportunity to further display their creativity. The project will allow contributions to a structure that will be worked on all the way through to the Republican National Convention in July. Guests can leave their mark on the Science Center’s giant American flag -- adding onto it in phases that will result in a representation of all corners of the United States that plays music and lights up. The excitement moves outside to the Steamship Mather on Monday, July 4 for Rock ‘n’ Boom. Guests can see the Fourth of July fireworks over Cleveland from the deck of the ship! Tickets are $16 or $13 for Science Center members. Food and drinks will be available for purchase in the adjacent family-friendly beer garden, including hot dogs, hamburgers, beer and wine. Call 216-621-2400 to reserve a ticket.